An onsen in the Japanese spa town of Kinosaki. All photos by Sofia de Lacerda. 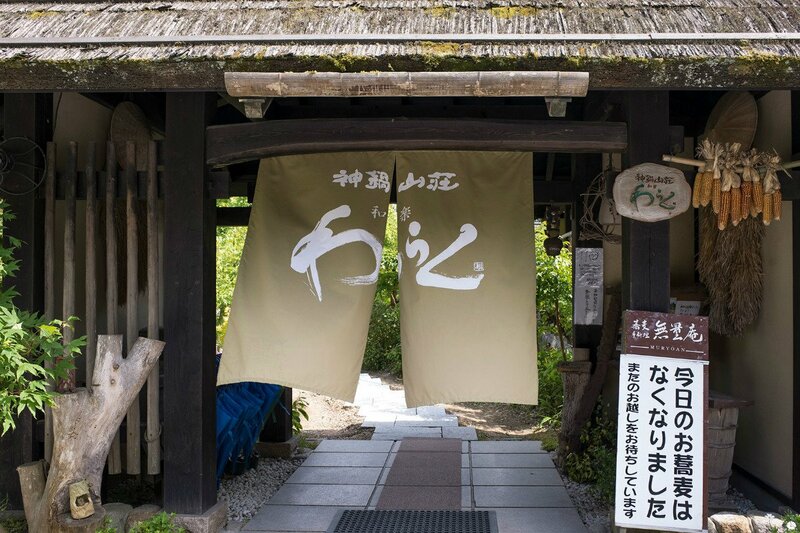 Traveling duo Sofia de Lacerda and Mo Saha visited the spa town of Kinosaki, Japan, for a relaxing getaway. 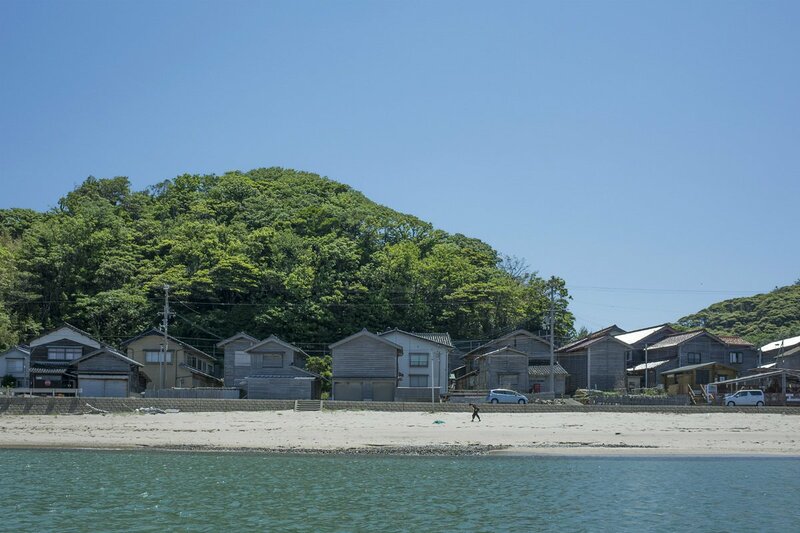 What they found — beautiful beaches, 1,300-year-old statues, and clean Japanese design — gave them a deep appreciation for the spirituality and tradition that defines the place. 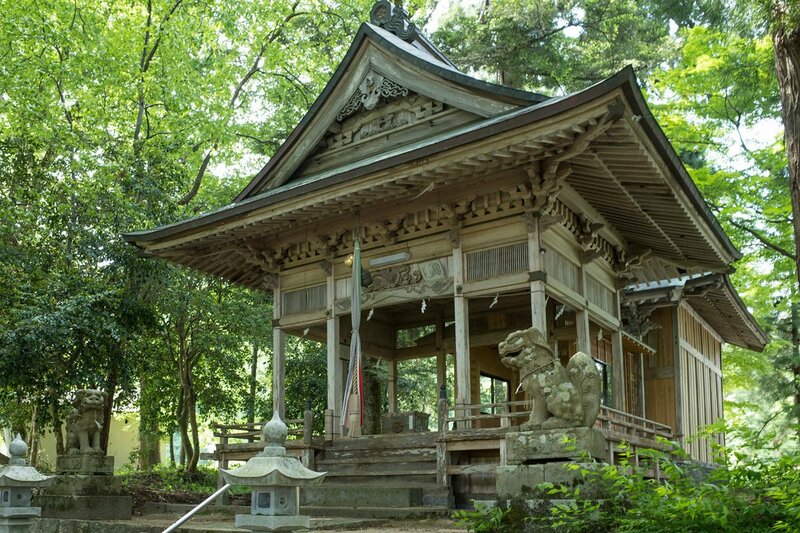 KINOSAKI, Japan – Our favorite trips usually involve a balance of city and nature. There's something about experiencing the complexity and hustle of the built environment juxtaposed with the pure simplicity of a big blue sky and green trees that leaves us feeling like we managed to have it all. After ten days of living it up in Tokyo and Kyoto, we were ready to make our way to Kinosaki, an outdoorsy onsen town overlooking the Sea of Japan. We jumped on the bullet train for the easy two-and-a-half-hour trip from Kyoto. Upon arriving at the station in Kinosaki, we walked across the street and left our luggage at Kinosaki's Hotel Information Counter, located opposite JR Kinosaki Onsen Station. For 100 JPY per bag (around 90 cents USD), your bag is delivered to your hotel room. This slick and affordable system is both thoughtful and convenient when arriving before check-in time and allowed us to psychologically (and literally) take a load off after a long journey. 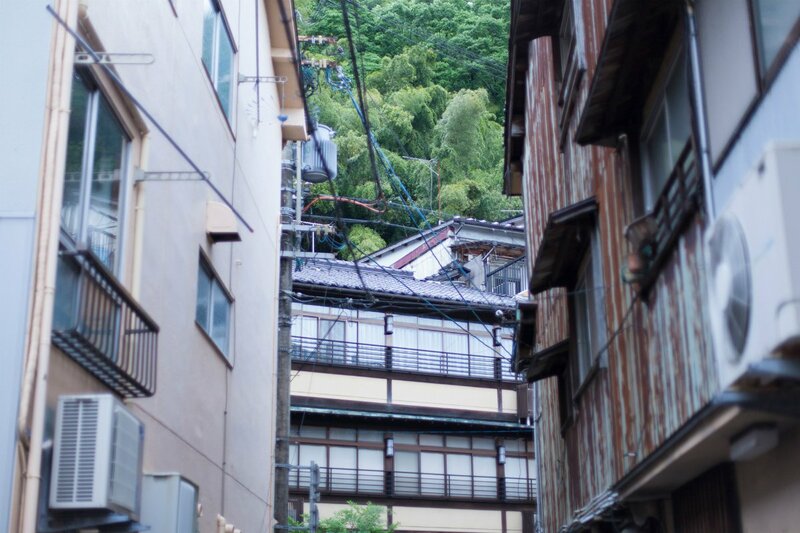 From there, we set off to experience some of the outdoor activities the surrounding area is famous for, a unique draw that differentiates Kinosaki from other onsen towns. 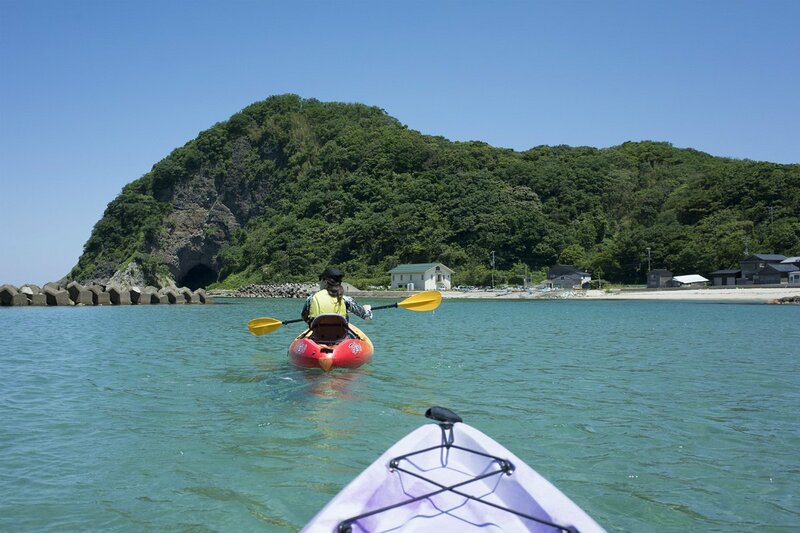 On a morning kayak tour with instructor and guide Mr. Koji Saito of Mother Earth Tours, we paddled to the majestic Hasakari Rocks in Takeno Beach (it's a one-hour drive or one stop on the train), considered to be one of the best beaches in the country. The natural monument and cave are rumored to be home to a ogre — or at least that’s what local parents tell their misbehaving children. The rocky outcrop conceals a hideaway for ships, edible seaweed, and unspoiled, turquoise waters. It was a gorgeous day in early May and the beach was virtually silent with only one, lone fisherman in sight. The clear blue waters of Takeno Beach. A lone beach-goer walks along the Takeno Beach shore. 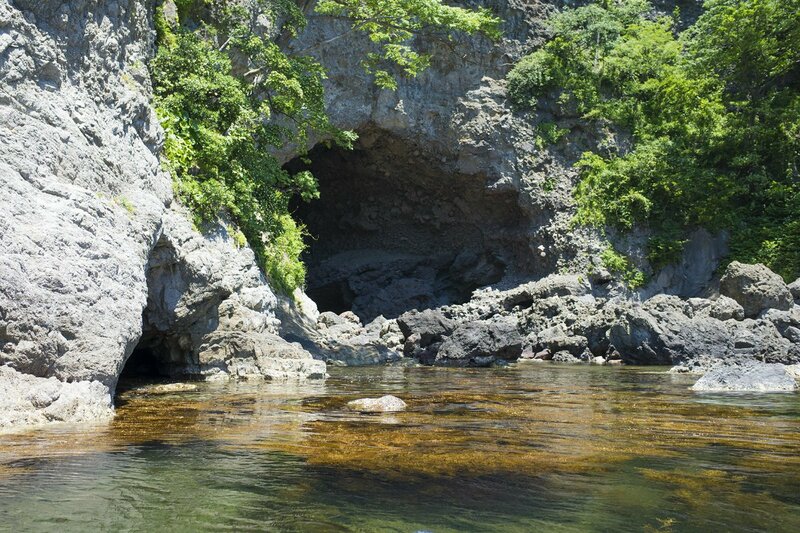 The cave at Hasakari Rocks, home to a mythical ogre. Being on the sea left us hungry, and Kannabe Sanso Waraku, a restaurant in the nearby mountains, was our destination for lunch. We dined on delicious buckwheat soba noodles (a local speciality), tempura, and seasonal delicacies from the area. 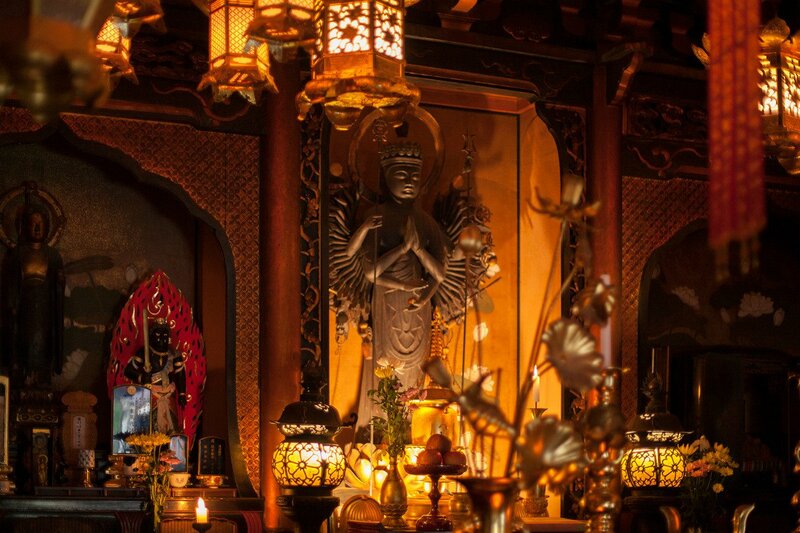 The restaurant has a peaceful, hidden-away feel and thoughtful design details. In the winter, it functions as a cozy ski resort. Lunch at Kannabe Sanso Waraku. Regional cuisine, like tempura, at Kannabe Sanso Waraku. The exterior of Kannabe Sanso Waraku. Later that afternoon, we visited Kannabe Nature School. Run by a very cool couple, Mr. Atushi Maeda and Ms. Yukari Maeda, the school organizes lava-trekking tours, outdoor cooking classes for kids, bouldering, and a cycling excursion that took us to a beautiful temple in the woods, through rice fields, and ended with an impromptu wild strawberry tasting session and a few minutes of stone skipping at a 70-foot waterfall. 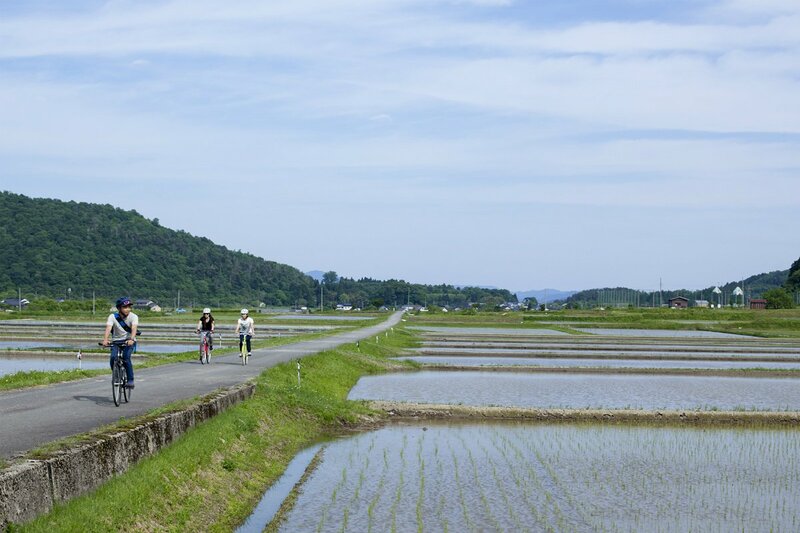 Peddling through rice fields with the Kannabe Nature School. A hidden temple in the woods. The tour ended at the pool of a 70-foot waterfall. After an active and invigorating start to our trip, we were looking forward to checking into our hotel, Mikiya Ryokan, in Kinosaki. 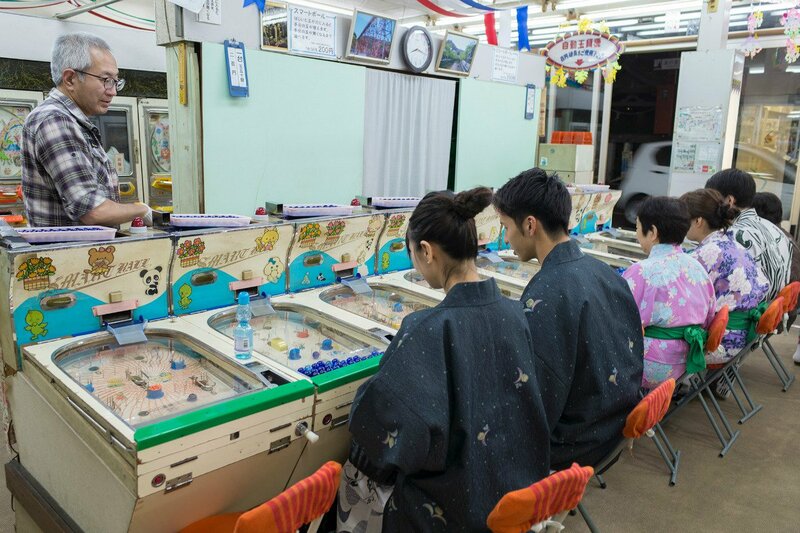 We were struck by the sight of elderly day-trippers, gossiping girlfriends, and the occasional western couple alike strolling about in their yukata robes and wooden geta sandals. 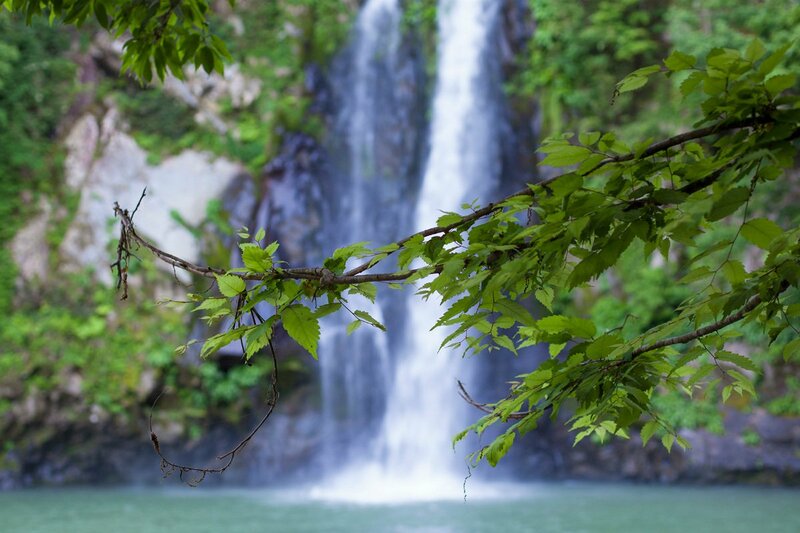 We won't give away too many details about the baths — discovering them yourself is half the fun — but some highlights include Goshonu-yu, which overlooks a lush waterfall, and Kono-yu, the first onsen in Kinosaki, where legend says a stork healed itself in the waters. We were a little shy about being fully naked in the public baths (a requirement) even though they are separated by gender. Some of the ryokans offer private onsens — which us British prudes we were quite happy to learn about. No shoes allowed! 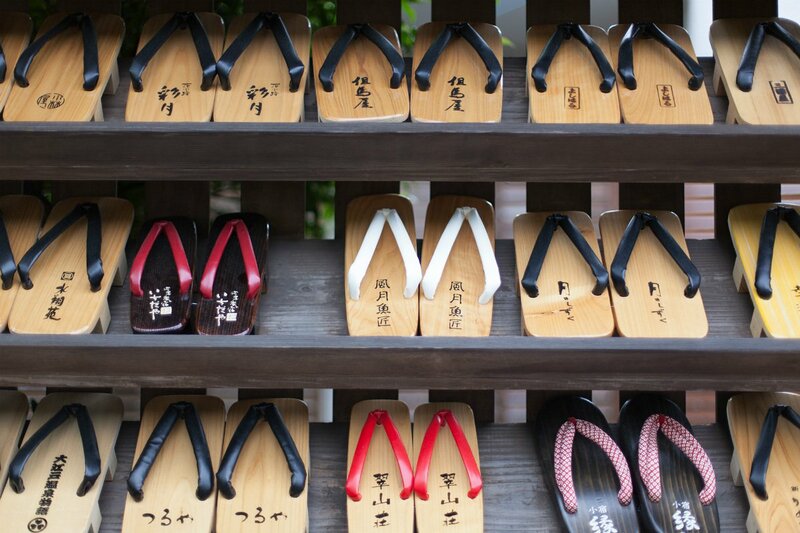 A selection of traditional geta sandals. 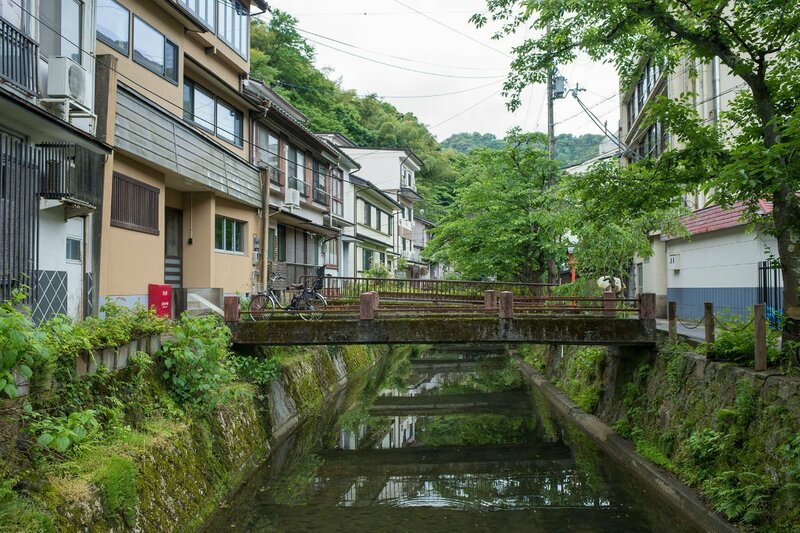 A canal running through lush Kinosaki town. 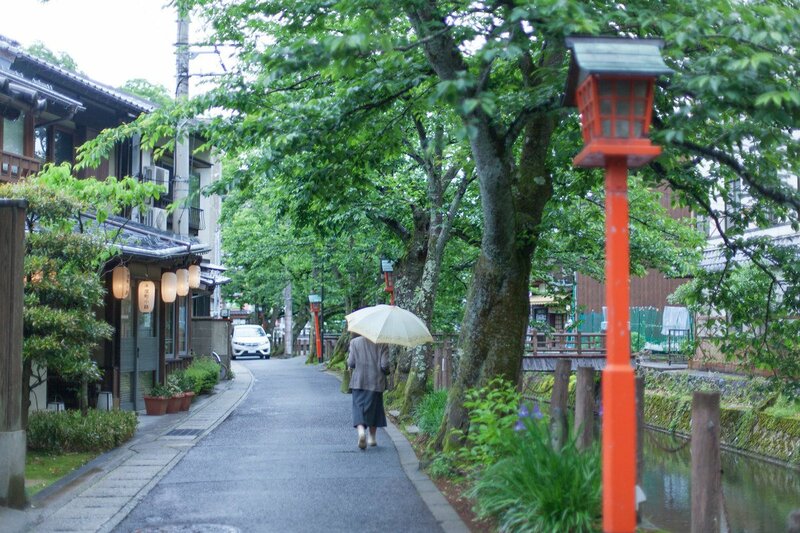 A quiet, rainy day in Kinosaki. Kinosaki apartments climbing into the surrounding mountains. After working up an appetite at the baths, we sampled delicious, traditional cuisine like crumbly cheese tarts, an onsen egg cooked in hot spring water, and snow crab, the local delicacy. We went for a tasty, relaxed meal at izakaya Tomiya, and afterwards pottered around the town’s kitschy amusement arcades and gift stores before crashing at the hotel. 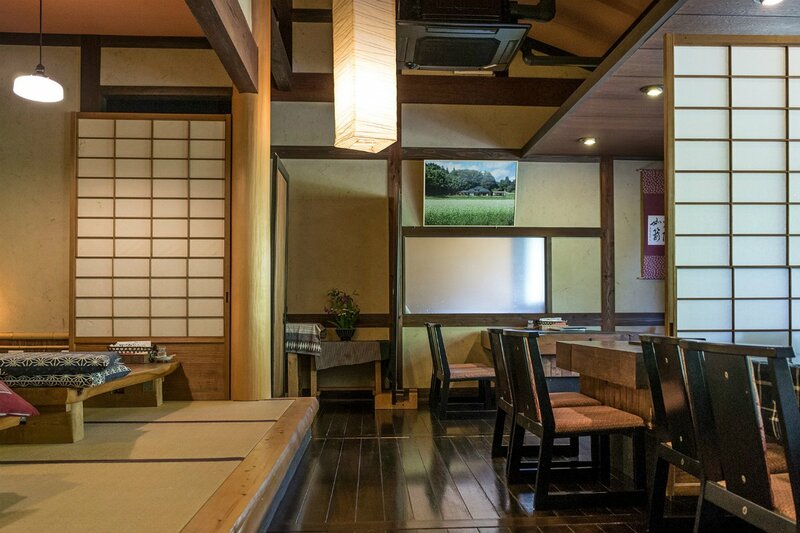 The beautiful, traditional interiors of these Japanese inns are minimal, with woven tatami mats that feel wonderful underfoot (shoes are always removed and swapped for slippers). The space is so peaceful that the writer Shiga Naoya recuperated there for one month after being struck by a train and was inspired to write the short story At Kinosaki. 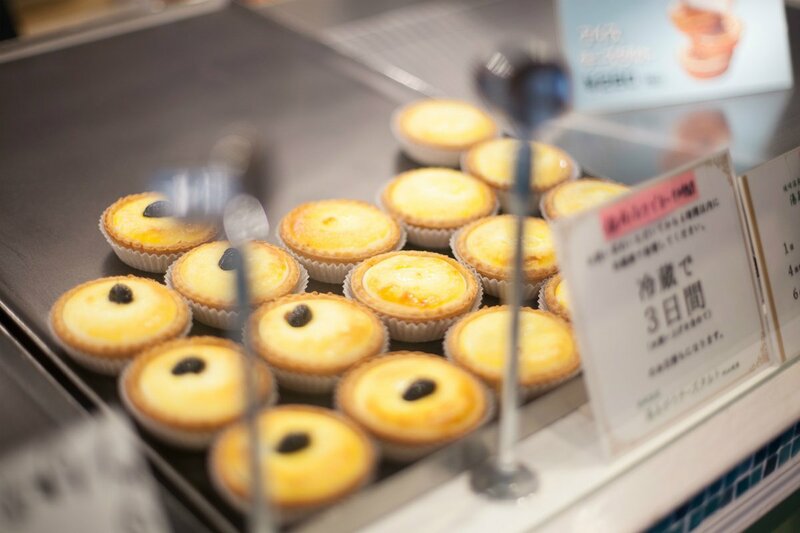 A local delicacy: flaky cheese tarts. Finding entertainment at the Kinosaki amusement arcades. 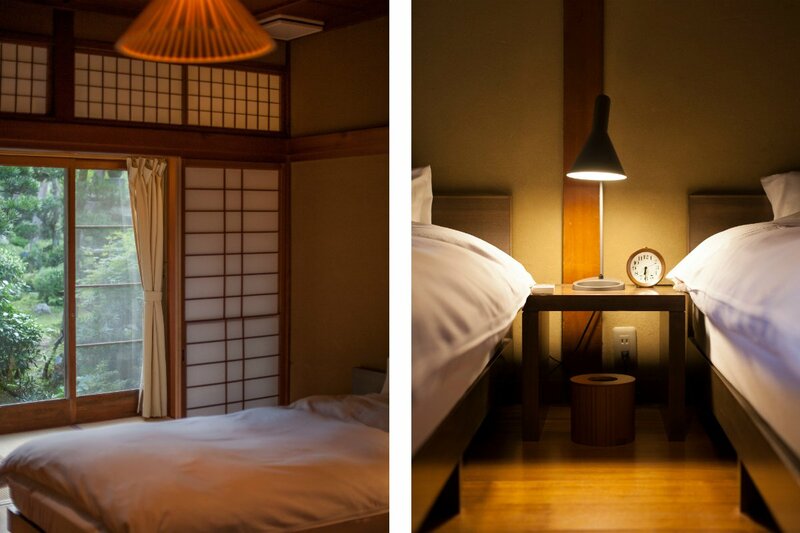 Inside the minimalistic, peaceful Mikiya Ryokan. Traditional Japanese decor at Mikiya Ryokan. The next morning, we jump-started our day with an authentic Japanese feast, including a whole fish, rice, and miso soup. We spotted a booklet for the Kinosaki International Arts Centre (KIAC) at our ryokan and decided to check it out. The center offers residencies and facilities for performing artists, and provides a space for them to present their works to local audiences. That afternoon, we were determined to get to the top of Mount Daishi, the mountain that overlooks Kinosaki and the mouth of the River Maruyama. Our trip coincided with some maintenance work on the Kinosaki Spa Ropeway cable car service that connects the town with the summit, and since it was also raining that day, the short trek to the top wasn’t an attractive option. Luckily, our fantastic guides (thank you Jade and Mako) arranged for us to hitch a ride up the mountain in a golf caddy. It was a surreal, slightly hair-raising journey that led us to one of the most memorable spots of the trip: Onsenji Temple. 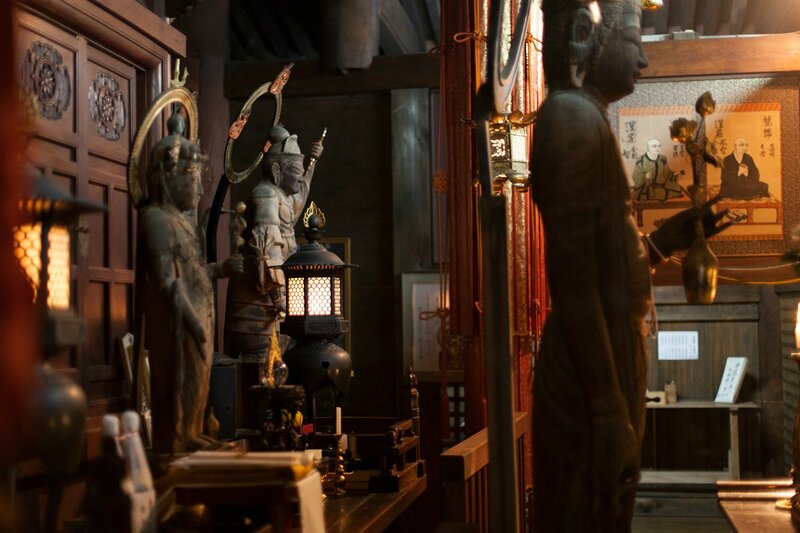 The temple is dedicated to a monk named Douchi-Shonin, who received a vision to pray for 1,000 days to bring forth the healing onsen of Kinosaki 1,300 years ago, and understanding this history added a spiritual dimension to the therapeutic benefits of the hot springs. We also felt incredibly lucky to see the six-and-a-half-foot-high, eleven-headed statue of Kannon, since this relic is only fully revealed to the public every 33 years for three years (it is now on view until April 24, 2021). This statue of the goddess of compassion and mercy is a national treasure and considered highly sacred, which is why visitors are usually only granted a glimpse. Our guides and the monk spoke about the statue with such veneration that it made us truly appreciate the once-in-a-lifetime opportunity to see Kannon in its entirety. As we admired the statue with its long ears and long arms reaching below the knee (the better to symbolically reach out to help as many people as possible), we felt touched by such a special experience in the peaceful, restorative town. 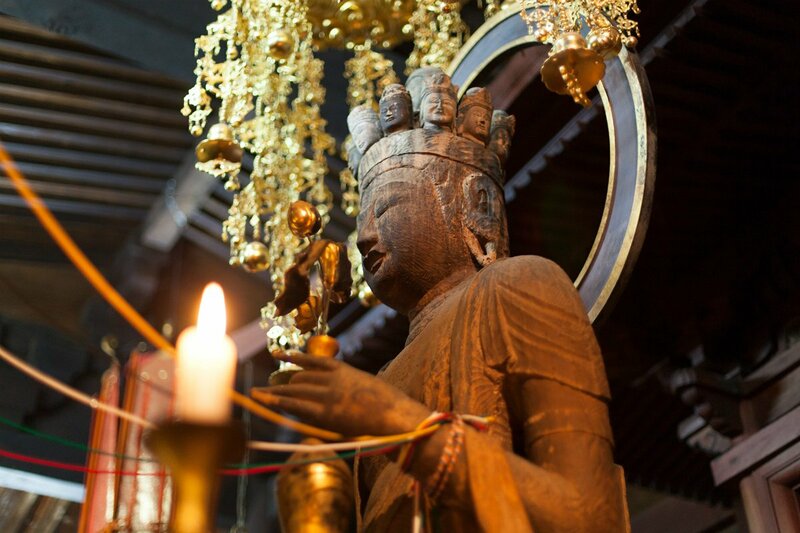 One of Kinosaki's most spiritual sites, the Onsenji Temple. 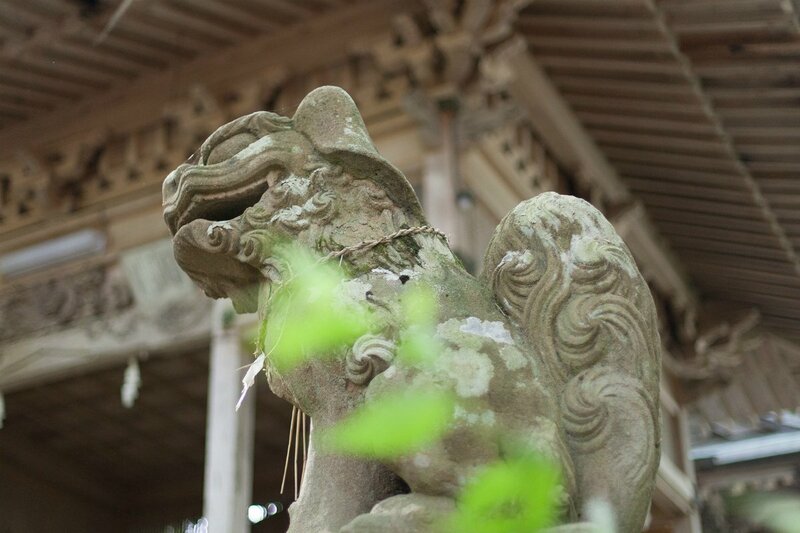 Ancient relics inside the Onsenji temple. 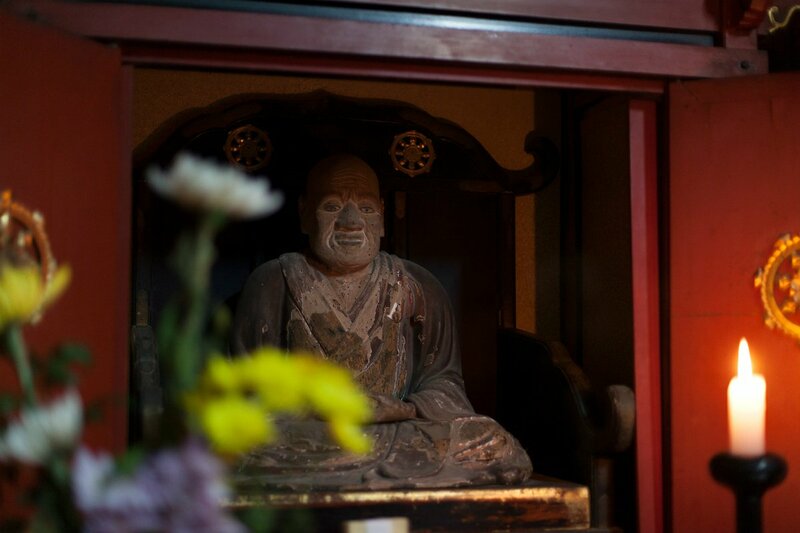 The statue of the monk Douchi-Shonin, in whose honor the temple was created. The rarely-seen statue of Kannon. Once visited by the late literary master Naoya Shiga. 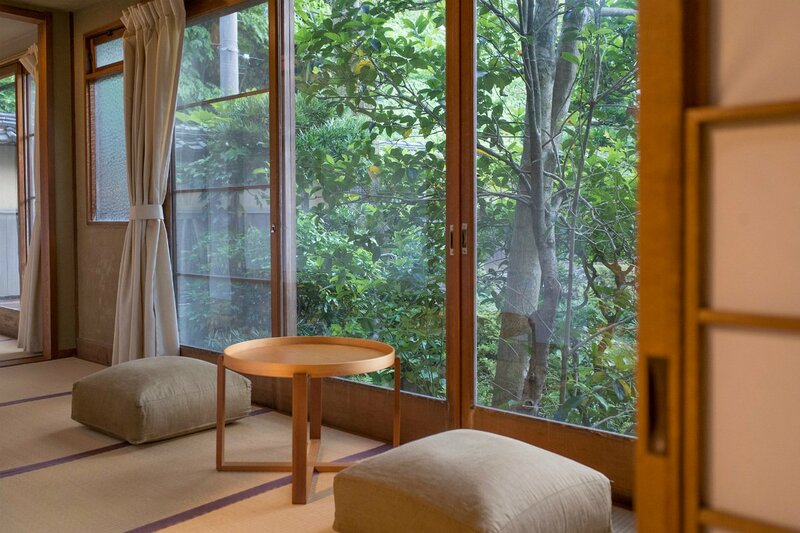 The traditional wooden design features a Japanese garden. Breakfast and dinner are served in the dining hall. 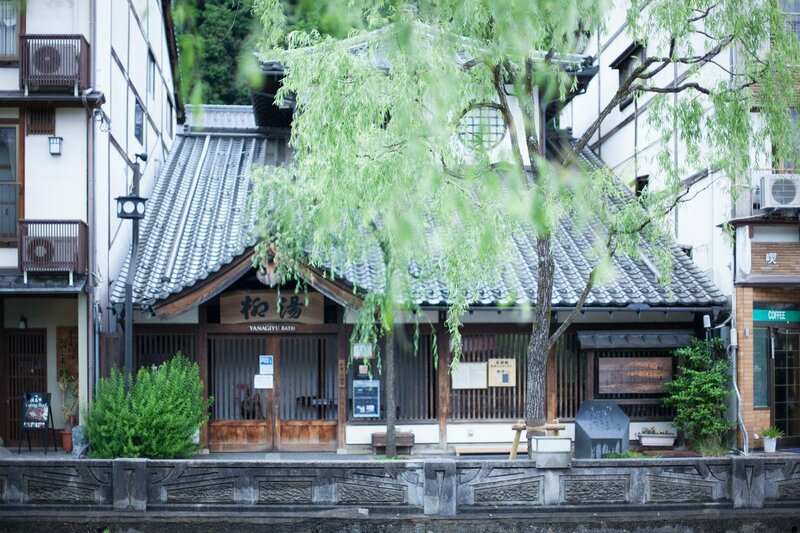 A traditional Japanese inn with three private onsen baths. 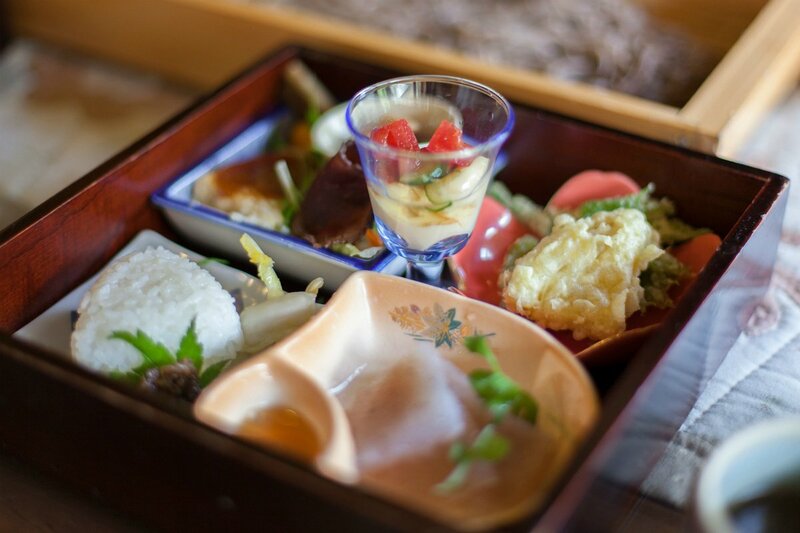 Breakfast and kaiseki (traditional multi-course dinner) are served in your room. 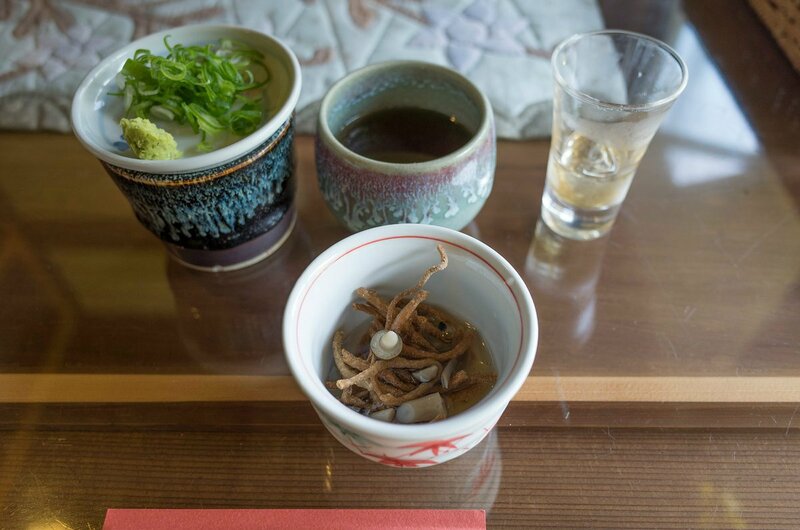 A Japanese restaurant in the Kannabe mountains serves an array of seasonal dishes including local soba noodles. A Japanese pub with a creative menu, serving locally caught fish and locally raised Tajima beef. 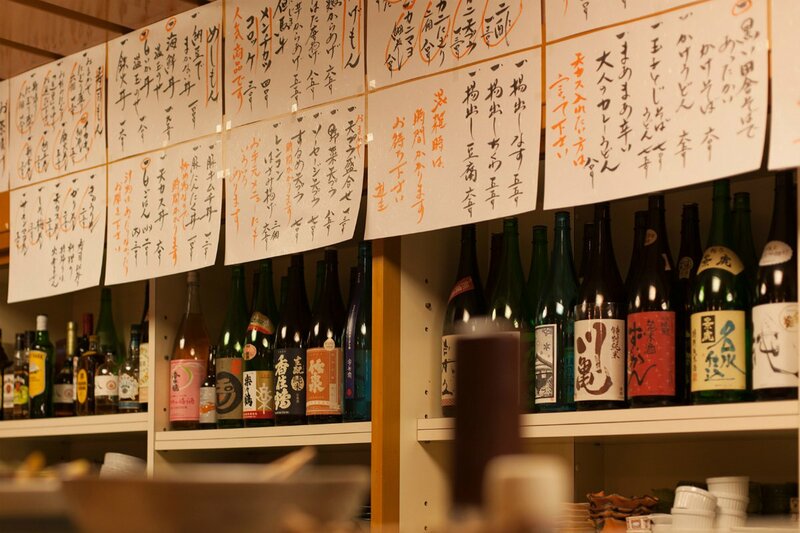 The sake collection on display at Tomiya. A tasty helping of Sushi at Orizuru. 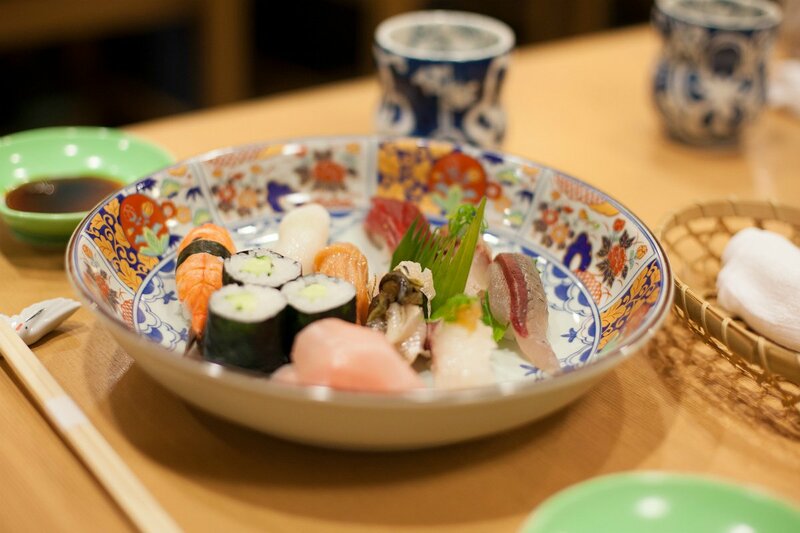 A popular sushi restaurant in Kinosaki, located on the main street. Our biggest regret was not trying the ramen, which looked delicious. We also heard that this is Kinosaki's oldest eatery! A unique cafe and boutique in the center of town along Otani River. Their handbags are all handmade and really high in quality. 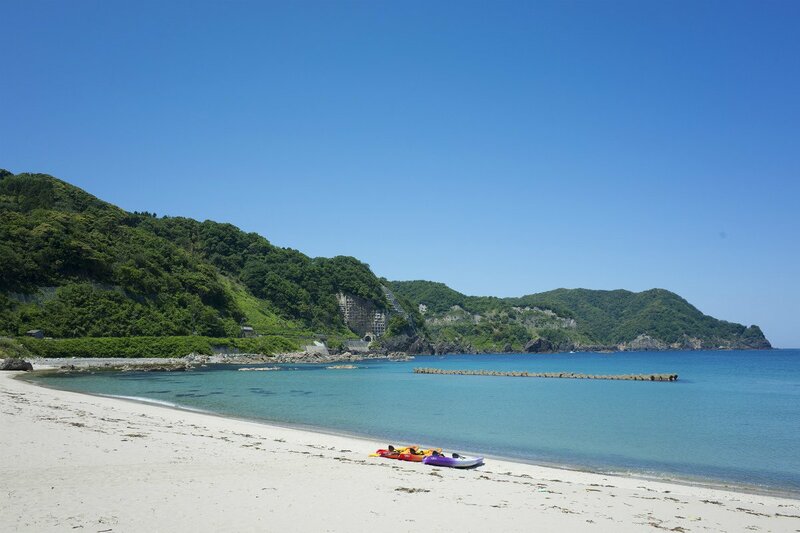 Mother Earth organizes Canoe and SUP tours of Takeno coast, a designated part of the San’in Kaigan UNESCO Geopark and ranked in the top 100 of beautiful beaches in Japan. An outdoor activity school that organizes lava-trekking tours, outdoor cooking classes for kids, bouldering, and a cycling excursions. Bagworks in Caban Street. Photo courtesey of Toyooka City. Caban Street, at the end of Daikai Street. Toyooka, to the south of Kinosaki, is famous for being Japan’s largest producer of bags and wallets, and has been for over 1,000 years. 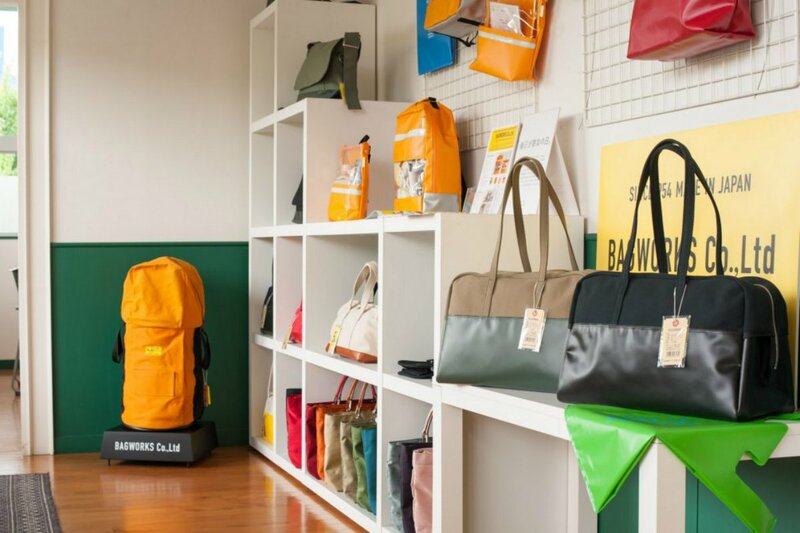 Serious shoppers should head to “bag street” for the best selection. Sofia and Mo of Saha de Lacerda are a creative duo based in London. They travel for the chance to glimpse new perspectives, cultural quirks and return home with new ideas.